The Hickory Nut Lodge's spectacular Mountain Views straight up the Hickory Nut Gorge are yours all week long from the windows and decks. You will not believe your eyes as you enjoy phenomenal 180 degree Mountain Views all year long. The spring and fall colors are fantastic as the life returns to the mountains in the spring and the rich colors of fall take hold towards the end of the year. 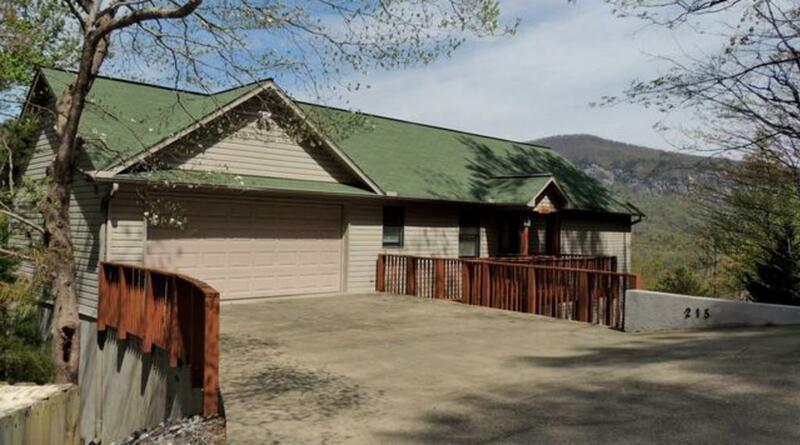 Any time is a good time to visit Hickory Nut Lodge. The home itself is richly appointed with a fully equipped kitchen with a gas stove and a dining table on the main level along with two master bedrooms, each with a queen sized bed and private bathrooms. Additionally there is a living area on the main level complete with a flat screen television. You can access the main level from an enclosed two-car garage. The second level of the home has a huge master bedroom with a walk in shower and garden tub along with a very spacious walk-in closet. Outside the master bedroom is a family room with a gas log fireplace, sectional couch and another flat screen television so you and your guests are able to enjoy two separate and very comfortable viewing areas. Are you bringing a few extra kids? The second level also has its own kids room with a set of twin beds. They’ll love having their own private area. Finally, the third level has a very large game room area complete with an air hockey table, a very solid and sturdy Foosball table, and a very nice professional poker table. While playing the games you’ll be treated to another gas log fireplace to maintain both your warmth and the mountain mood. Of course you and your guests will want to spend some time outside on the decks which are fully equipped with outdoor furniture and a large gas grill. So pop the cork on your favorite bottle of wine and enjoy the good life here in the mountains of Lake Lure. 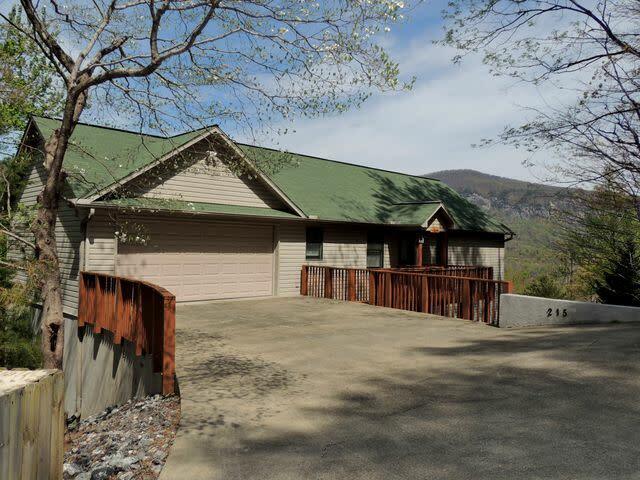 Grill up your favorite foods and enjoy unbelievable mountain views just down the street from all that Lake Lure has to offer. Book early because anyone who stays in this beautiful home will book quickly for next year!